"The thrilling story of the French princess who became an English queen from the author of critically acclaimed Agincourt Bride. Perfect for fans of Philippa Gregory. 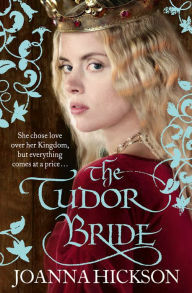 At the secluded manor of Hadham a smouldering ember bursts into flame and Catherine and Owen Tudor become lovers. But their love cannot remain a secret forever, and when a grab for power is made by Gloucester, Catherine – and those dearest to her – face mortal danger…"